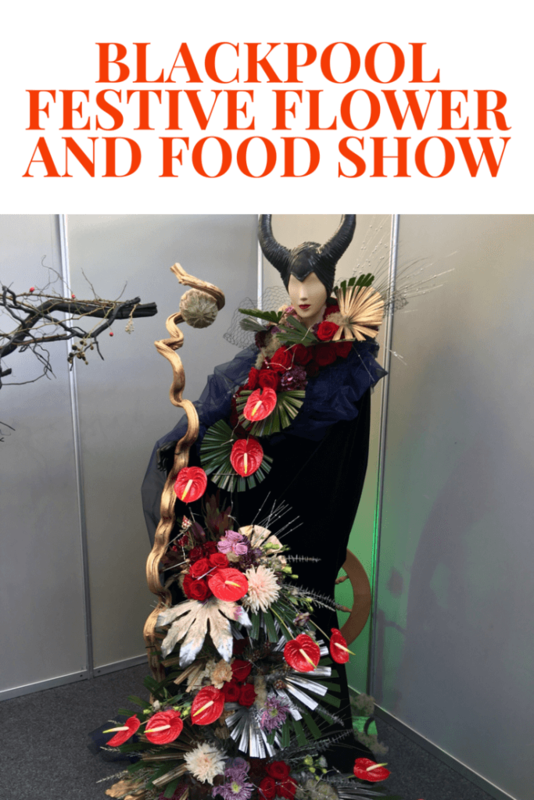 On Saturday we were invited* to Blackpool flower and food show at the Winter Gardens. When we arrived we looked around the array of flower displays done in the most imaginative and stunning way possible. We took part in 2 children’s workshops which unfortunately were hard to track down, they weren’t mentioned in the programme and none of the staff working there knew anything about them. When we did find them they were very well done in a relaxed environment. We got there early for the first one and the lady gave Lucas a block of Oasis and greenery to keep him occupied until others arrived. 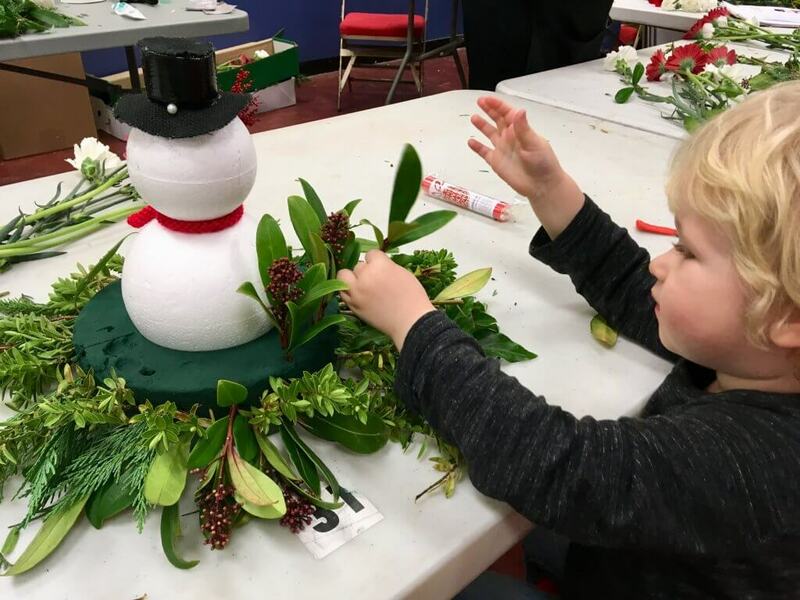 In the first session we made a Christmas cracker and the second session we made a snowman. For lunch we went to the Taste Zone which i would have liked to have seen more stalls and a bigger variety. To eat there, there was really only a pasty/pie stall and a samosa stall. My Grandma and Lucas has a pasty and sausage roll, both of which where unfortunately cold even though they had come out of the warmer. I had a pumpkin samosa that was very tasty but again cold so not as nice as it could have been. The Taste Zone was good if you wanted to pick up some treats such as scones and fudge or a bottle of gin but it wasn’t set up for people to eat there. If we were to come again to this show we would use the cafe upstairs, the food looked good when we were passing but they were queuing out of the door every time we passed so I don’t know how long it took to get a table. I saw adverts for the show, but we were at the Ideal Home Christmas Show at the weekend in Event City. I would have loved to have visited as I do love flower shows. It is a shame that the programme didn’t cover the kids activities well,but I hope you fed it back to them to improve on next year. Sounds a bit hit and miss but I think you’re spot on when you say these shows are really targeted at flower lovers and gardening fans. What a shame the workshops weren’t clearly marked. Your little one looks like they’re having fun with the leaves and oasis though! It is a shame about the workshops not being easy to find, but it looks like you had a great day in the end!